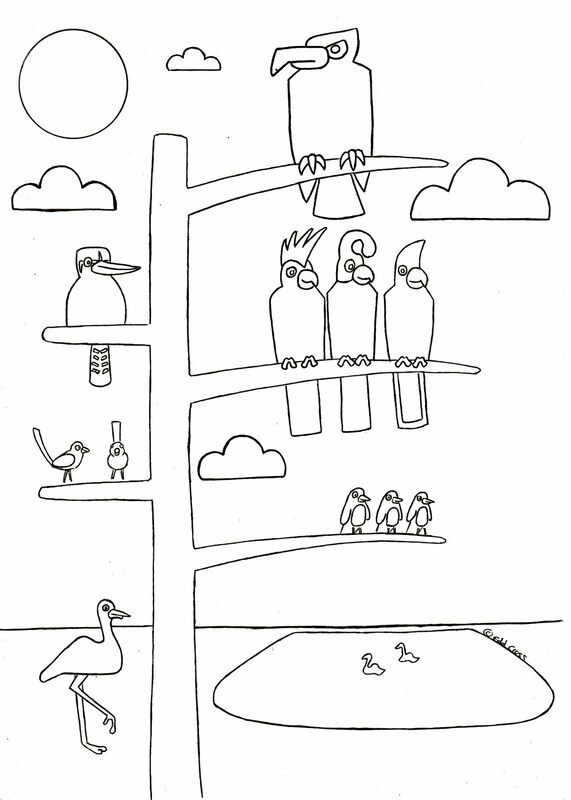 Tomorrow is World Environment Day, and my colleagues at Tidbinbilla asked me to create a colouring in competition, yay!! 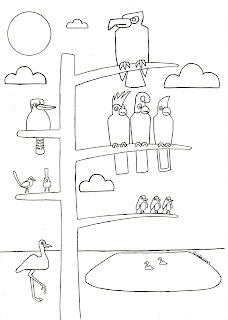 So I created the above picture displaying a variety of local birds within their own environment (on the tree, on the water, and on the land). What is even better is that WED donate $10 to help the gorillas with every activity that gets registered on their website. And as you must know by now is that I love gorillas so this is such a welcome bonus for creating the activity, as it goes to such a fantastic cause. So I hope that you all have a great World Environment Day tomorrow!